Hee hee. 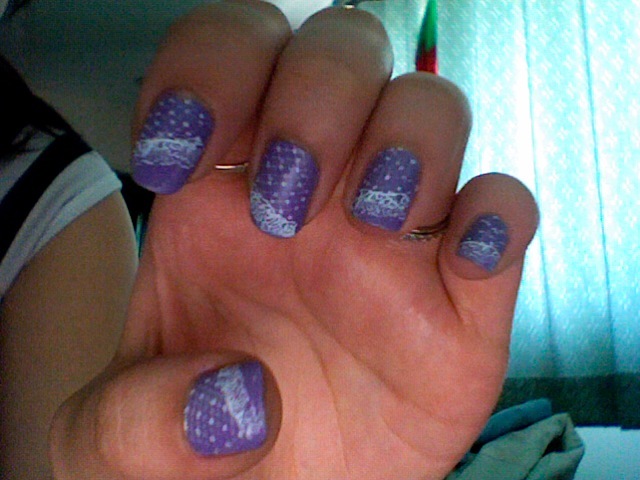 I just wanted to post a photo of lace nails I did. I used caronia as a base, and then the stamp is Konad's stamps and nail polish. Tee hee.